F. E. Warren AFB is located in Wyoming's capitol city, Cheyenne located within Laramie County. The people of Cheyenne welcome our military and many retirees choose to settle here. Cheyenne can be a high cost of living area as far as housing prices, but groceries and utilities are on par with the rest of the nation. Cheyenne ranks, in the United States, as one of the highest altitude cities (6,200 feet above sea level). The lack of humidity coupled with warm days and cool nights are positive aspects of living here. Those new to the area may experience high altitude sickness for a week to ten days. The Base Operator can be reached at 307-773-1110 or DSN 312-481-1110. It was on the branch of the South Platte River, three miles west of what is today Cheyenne that Fort D. A. Russell was established in 1867. In 1927, the last cavalry units left the installation. In 1930, President Hoover issued a proclamation changing the name of the post to Fort Francis E. Warren, honoring Wyoming's territorial governor and first state governor. Warren was a U.S. Senator for 37 years. He received the Medal of Honor when he was 19 for heroism during the Civil War. The installation became an Air Force base in 1947. Warren was initially used as a training facility. In 1958, the 4320th Strategic Missile Wing was established. The wing became the 90th Space Wing on October 1, 1997 and was renamed to 90th Missile Wing July 1, 2008. The Minuteman III missiles are deployed over a 12,600-square mile area in three states covering eastern Wyoming, western Nebraska and northern Colorado. They are dispersed in hardened silos to protect against attack. Regardless of the demands, the men and women of the 90th Space Wing remain poised to accomplish their vital mission: "To defend America with the world's most powerful combat ready ICBM force." F.E. Warren AFB services DoD personnel including active duty Air Force, Naval Reserve, Army Guard and Air National Guard to include their families; all civilian personnel working on the installation; and retirees to include their families. 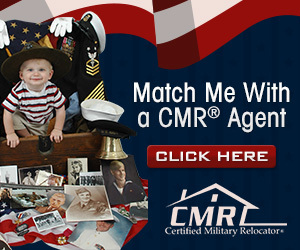 To obtain a sponsor prior to departure from your losing installation, go to the Military Personnel Flight (MPF) to fill out request paperwork at least 90 days in advance of departure. If you are on a short notice PCS, contact your gaining squadron here on F. E. Warren AFB and ask for the Unit Program Coordinator or the Squadron's Command Section who will assign you a sponsor. If you arrive without a sponsor, contact your squadron upon arrival during duty hours. Incoming personnel are encouraged to stop at the gate for information and directions. The gate guard can direct you to the 24-hour central arrival point at the Crow Creek Inn, Bldg. 216, 307-773-3077 or DSN 312-481-3077. If you have problems on arrival and it is after duty hours, contact the command post at DSN 312-481-3921 or 307-773-3921. Cheyenne Municipal Airport services the city and surrounding community. There are no shuttles to/from the airport to the installation. Rental cars are available at the airport – it is suggested that you make reservations in advance by calling AVIS at 1-800-331-1212 or local 307-632-9371. It is customary to have your sponsor meet you (and your family) when you arrive and provide private transportation to the installation. Please arrange this directly with your sponsor. 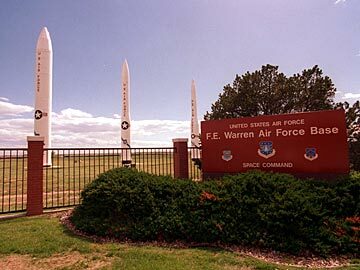 Francis E. Warren AFB is located in Cheyenne, Laramie County, Wyoming. The base is immediately adjacent to the West side of the City of Cheyenne and is directly across US Interstate 25 and three miles north of the I-80 and I-25 interchange. Cheyenne can be easily accessed by car, airline, shuttle from Denver International Airport, or bus. Cheyenne is located 100 miles north of Denver, Colorado and is the transportation crossroads in the Southeastern corner of Wyoming. It is eight miles north of the Colorado Border on I-25 and forty miles west of the Nebraska border off I-80. Francis E. Warren AFB Main Entrance and Visitor Center is located at I-25, Exit 11. The installation has no shuttle service. The gate guard can direct you to the 24-hour central arrival point at the Crow Creek Inn, Bldg. 216, 307-773-3077 or DSN 312-481-3077. No listings found for F.E. Warren Air Force Base.